Our short-term, two-year and college transfer programs offer many pathways to a rewarding career. Find the right path for you, check out a career field that interests you. Artists, designers, musicians, performers, poets, chefs and photographers, sharpen your craft and start an exciting career in several creative fields. Your journey to a career in business, marketing, management or Wall Street starts at Thomas Nelson. There are more jobs available in computer technology and cybersecurity than qualified professionals. Get the skills you need to start a career in this critical and growing field. Make a difference. Become a teacher, counselor, or work in human services. Find a meaningful career helping other people live their best lives. Work toward a challenging career as an engineer or scientist by completing your associate degree and transferring to one of Virginia’s four-year colleges and universities. Do you enjoy caring for others? Consider a rewarding career in healthcare. Jobs are abundant for qualified professionals in medical and dental offices, pharmacies and hospitals. If you love to do-it-yourself, you'll thrive in these hands-on technology programs. 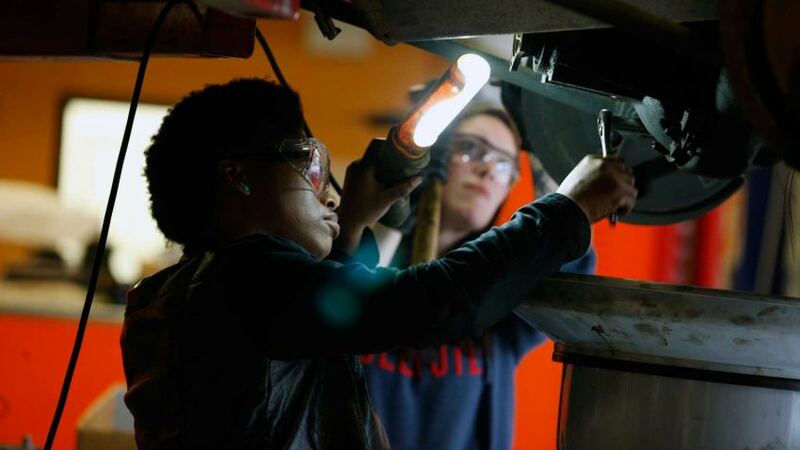 Start a career in HVAC, facility maintenance, automotive repair, or manufacturing. It's more convenient than ever to take that next step, earn your associate degree or certification completely online. Choose from associate degree or fast certificate programs. Protect your community's safety and legal rights through a career in emergency medical services, fire safety, law enforcement, or criminal justice. Get your license and get on the road. Start a demanding career as a commercial truck driver, ensuring goods are delivered efficiently across the region and the country. Or earn your motorcycle license and explore the open road.